Spread the word about your upcoming nuptials with these save-the-date ideas for every wedding style. 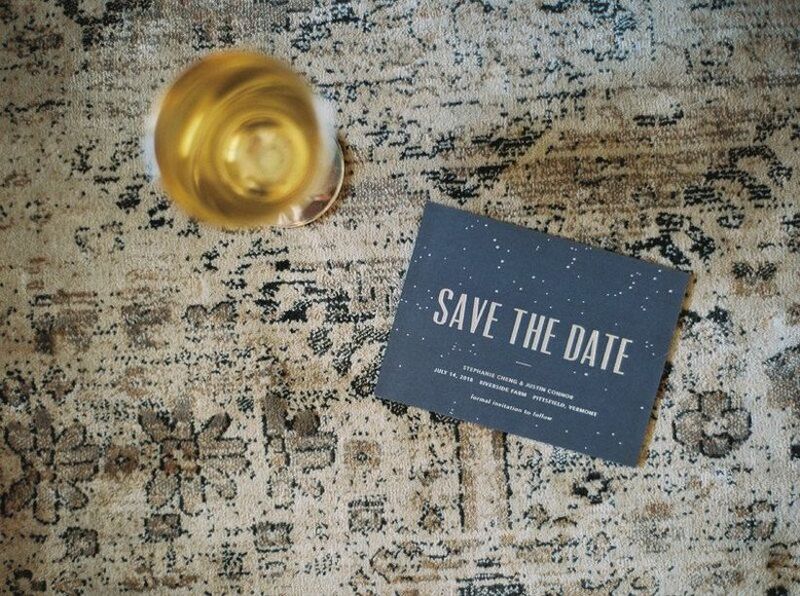 Shortly after you've finalized your wedding date and venue, it's time to send your official save-the-dates! (Insert excited squeal here). But before you start addressing and stamping those envelopes, take a moment to plan everything out. You might not have your exact wedding style or decor finalized quite yet, which is why you'll want to start by browsing save-the-date ideas to see what sparks your interest. 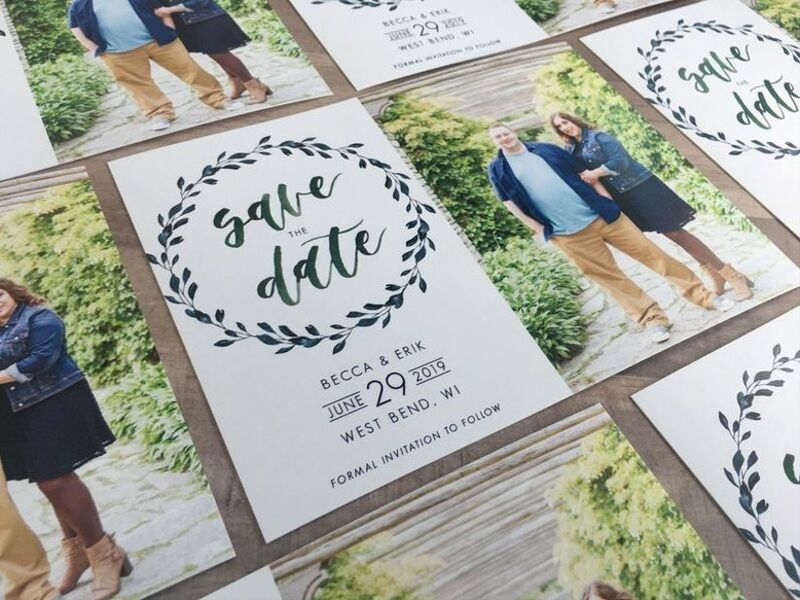 In general, the save-the-dates should match your invitation suite and overall wedding theme, so it's important that their design really fits your vision. Plus, in addition to giving guests their first glimpse at the time and place of your wedding, your save-the-dates clue everyone in about what to expect on the big day. From your wedding season to your aesthetic and color palette, your save-the-dates can reveal a lot — so choose wisely! Here are some of our favorite save-the-date ideas for every style. 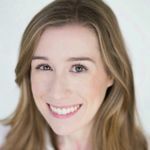 Play up a beach wedding theme (mermaid-inspired wedding, maybe?) 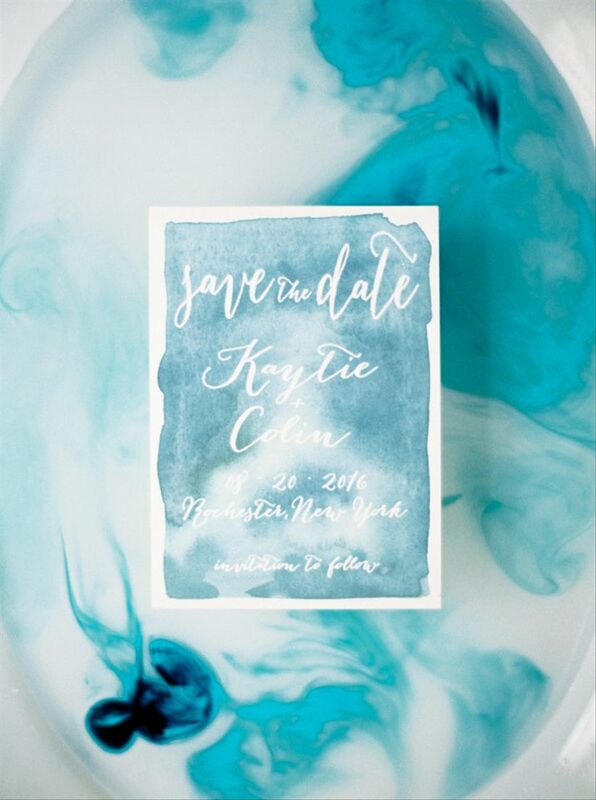 or hint about a waterfront venue by sending blue watercolor save-the-dates to all of your guests. A simple watercolor wash is effortless and pretty. 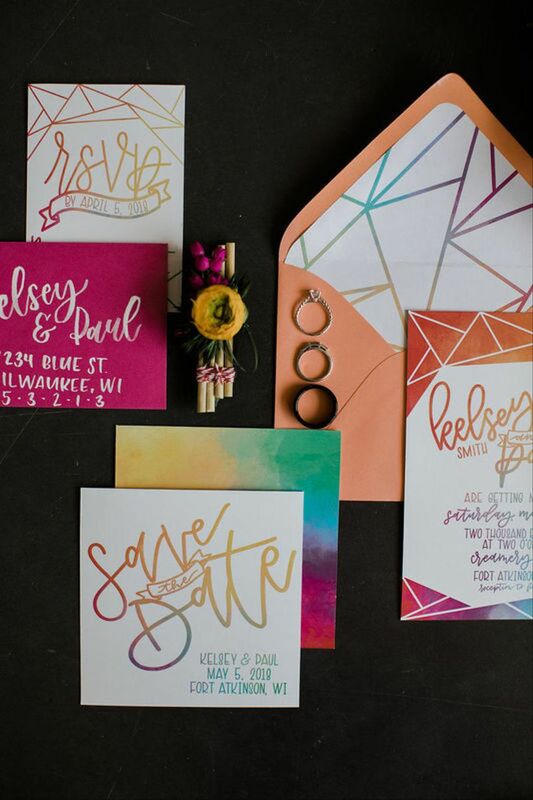 A rainbow color palette and free-flowing calligraphy are fun save-the-date ideas for the couple who doesn't take themselves too seriously. Add some geometric motifs for even more artsy vibes. 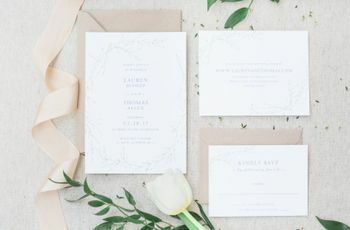 When it comes to boho wedding stationery, nature-inspired motifs such as feathers and flowers are par for the course, but we also love this more subtle option. 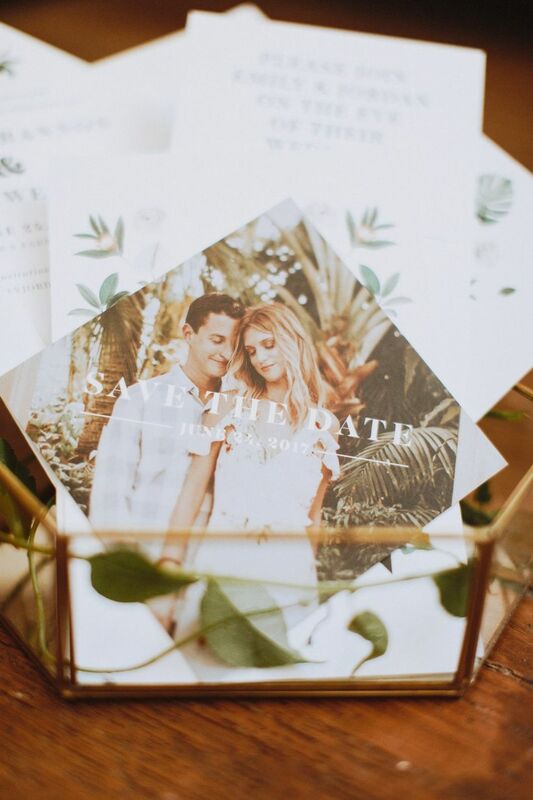 Complement a botanical invitation suite with a straightforward save-the-date card featuring a photo of you and your S.O. This couple planned ahead for their botanical-inspired wedding and took their engagement photos in a tropical greenhouse! 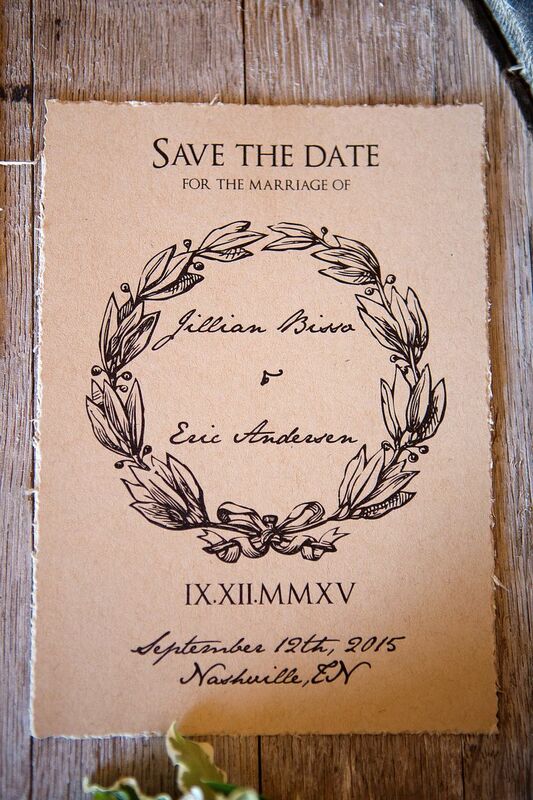 For rustic weddings, we love save-the-dates printed onto brown cardstock paper. 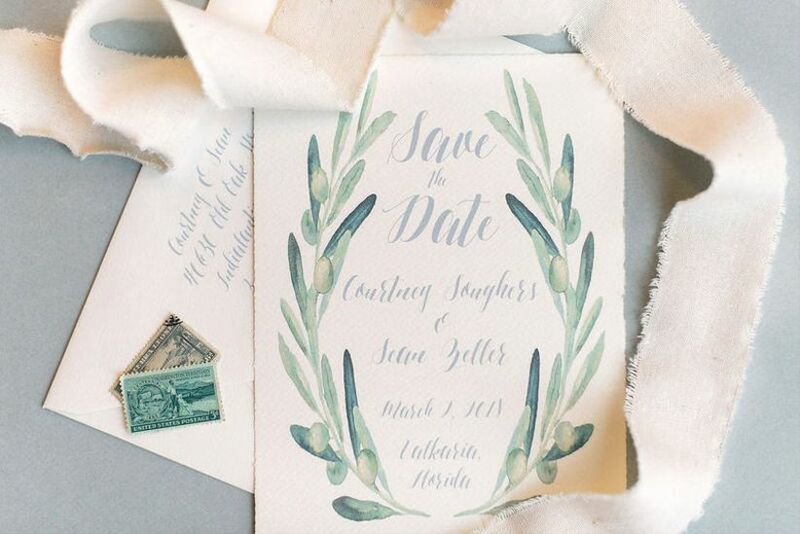 This save-the-date seamlessly bridges the gap between rustic and elegant, with the laurel wreath and sophisticated typography contrasting against the torn edges of the paper. Something like this would be gorgeous for a vineyard wedding! If you took engagement photos, your save-the-date cards are a fabulous opportunity to showcase your favorite portrait. Pair the photo with basic save-the-date details, including your names, the date (obviously! ), and wedding city. 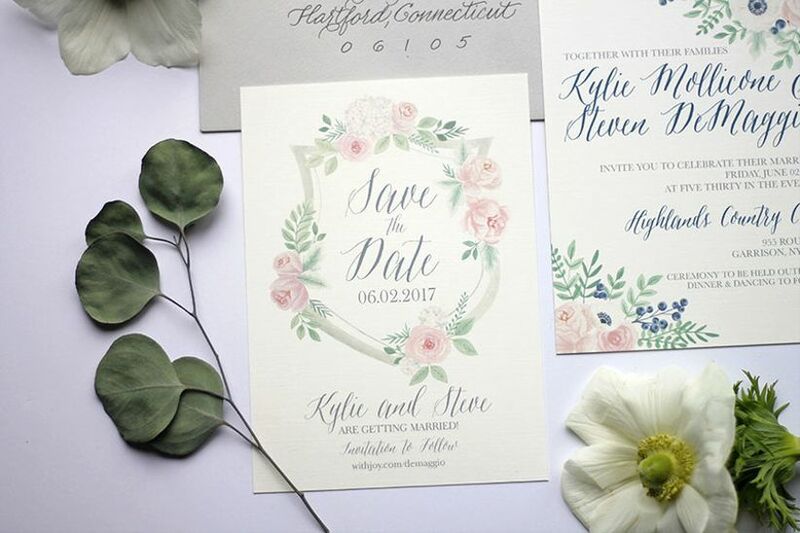 Whether you're exchanging your vows in a secluded rose garden or a chandelier-filled ballroom, save-the-dates adorned with hand-painted florals and pastel colors are undeniably romantic. 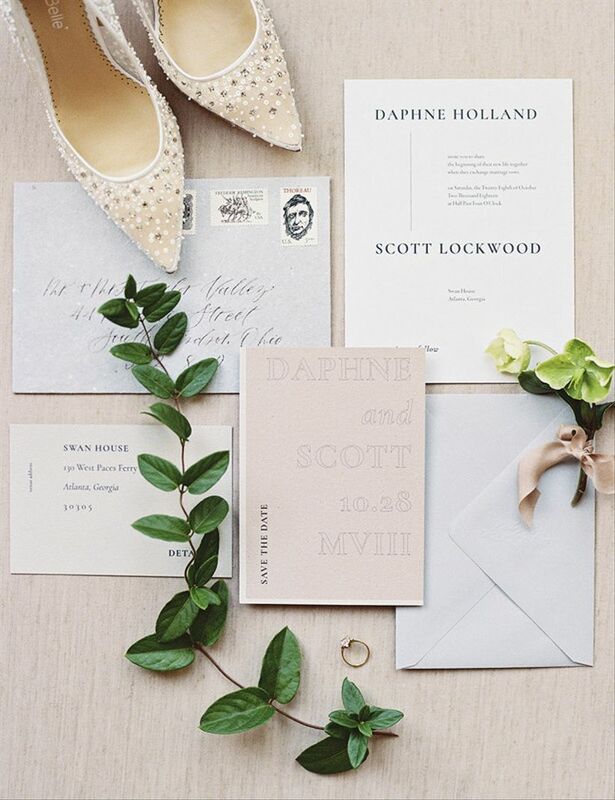 Clean lines and a neutral color palette are two fundamental design elements of classic save-the-dates. 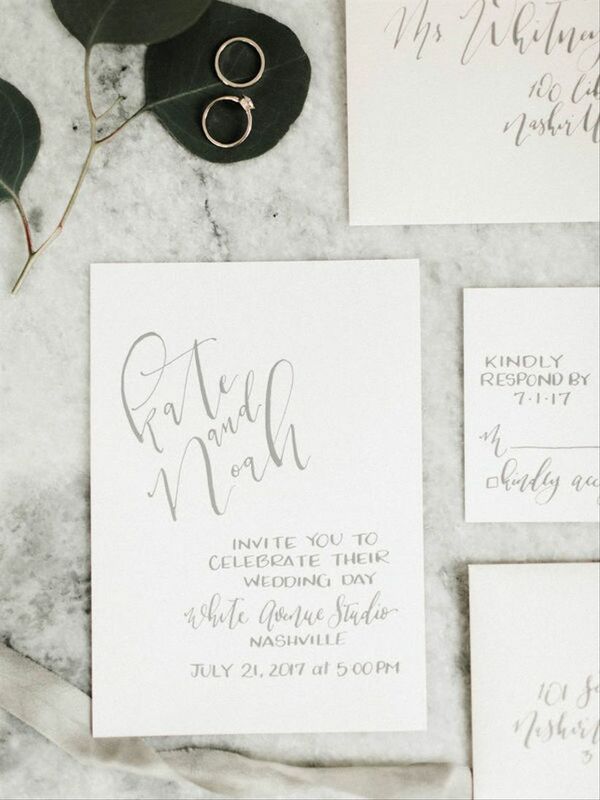 If you're looking for ways to personalize your save-the-dates while keeping them chic and timeless, try playing around with different fonts, layouts, or even textured paper. Position metallic silver text against a dramatic navy blue backdrop for an effect that's modern and streamlined. 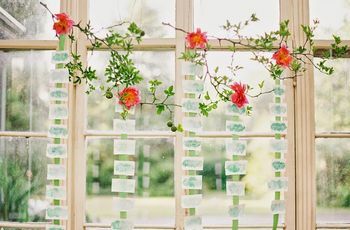 Don't hesitate to get creative with your save-the-date ideas by incorporating non-traditional details! This save-the-date was inspired by the couple's destination wedding in Mexico. 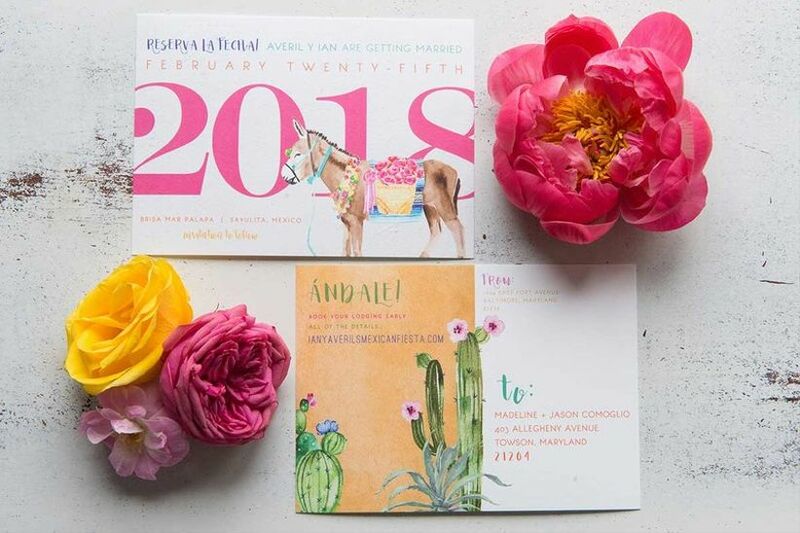 They paired cacti and burro sketches with a bright color palette to emphasize the laid-back, playful theme of their big day. For the minimalist couple, a crisp white save-the-date card with gray text is just the ticket. This monochromatic design is refreshing and uncomplicated. 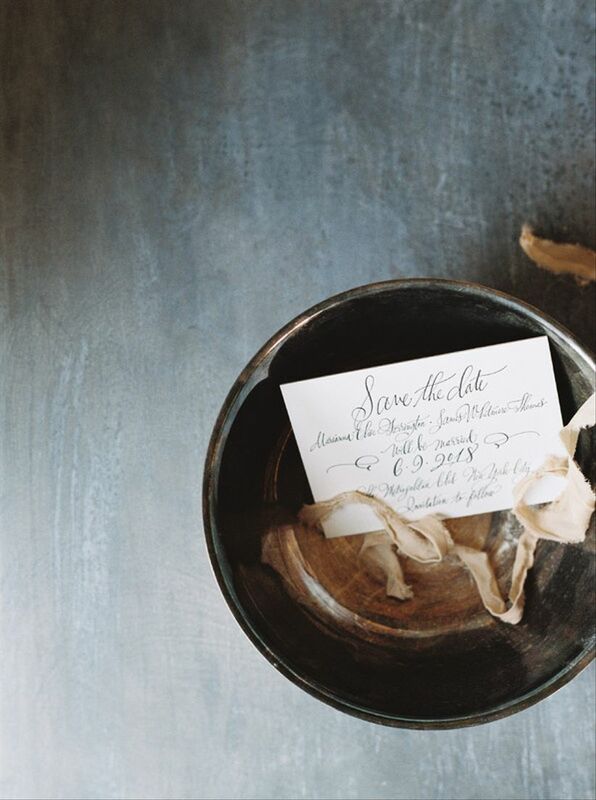 Handwritten save-the-dates are ethereal and extra-personal. 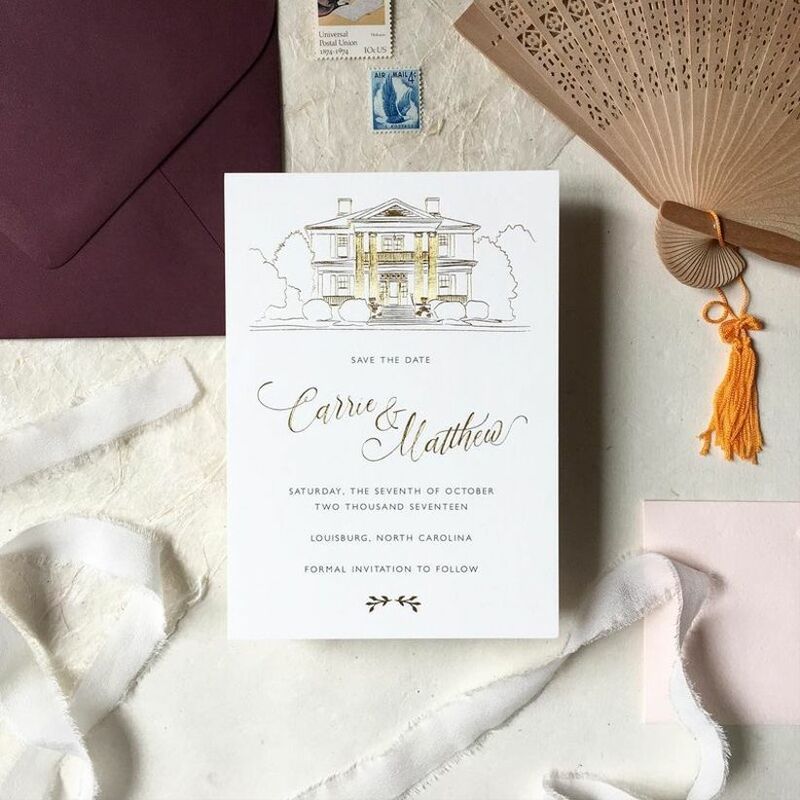 Depending on the size of your guest list, you can have your wedding calligrapher create an original save-the-date and use it to print copies, or have each card written individually for every guest. 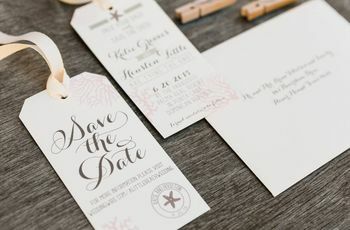 Twig and Leaf Paper Co.
Save-the-dates with decorative details and fancy embellishments tell your guests from the get-go that your wedding will be a formal affair. A custom sketch of your venue with touches of gold foil bring understated luxury. 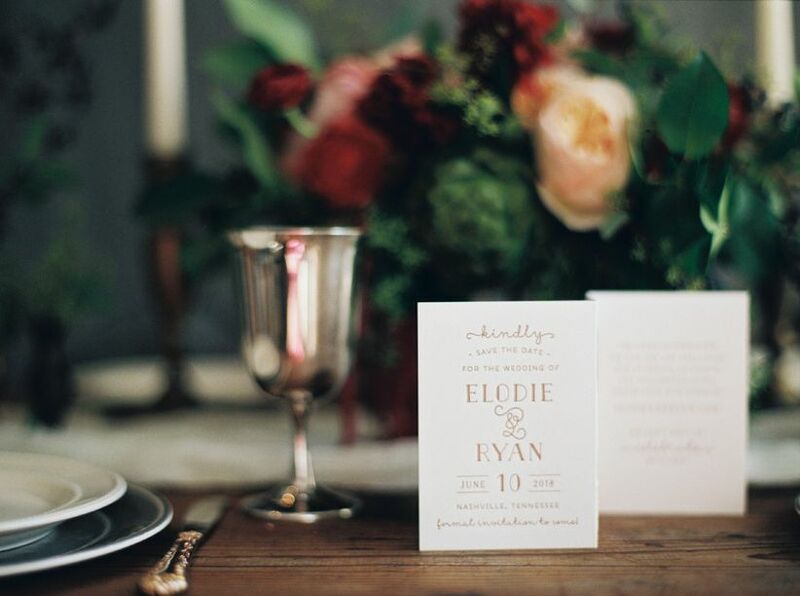 If you're having a vintage style wedding, retro-inspired fonts are perfect for your save-the-date ideas. 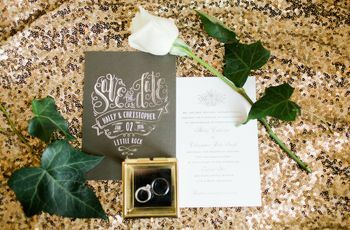 Use a font with '20s vibes for a Great Gatsby wedding, or a 1970s typeface for a free-spirited bohemian theme.